Prisoners and young offenders are reading more frequently and have an increased sense of wellbeing after taking part in our Books Unlocked programme, a new evaluation shows. Books Unlocked has supported prisoners and young offenders to engage with literature since 2012. Funded by the Booker Prize Foundation, the programme works with reading groups including those in secure settings, offering participants the chance to read, discuss and own Man Booker-shortlisted titles. The evaluation shows that Books Unlocked has achieved positive outcomes beyond literacy, demonstrating the wider impact reading for enjoyment can have on wellbeing and social skills. I feel a lot happier, calmer, enthusiastic, hopeful and positive! 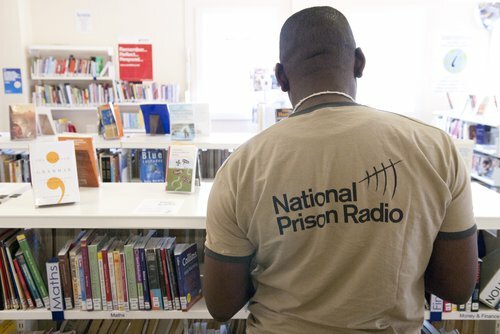 To expand the reach of Books Unlocked, we work with National Prison Radio (NPR) to serialise Man Booker Prize-shortlisted titles on a daily radio show. In 2014/15 more than 400 requests were made by individuals from 78 prisons for copies of books that featured on the show. A survey conducted by NPR found that 39% of listeners who heard the Books Unlocked show said it had encouraged them to read or write more. A separate evaluation by Staffordshire Prison Library Service shows how Books Unlocked has helped to break down barriers between prisons and the wider community in Staffordshire as well as raising participants’ self-esteem.